Get your students’ attention and promote lively discussions on the possibility of life on other worlds with this “accurate” representation of an alien skull. 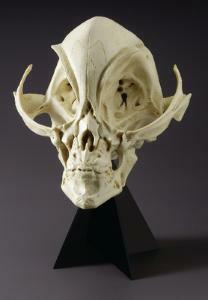 Created by a noted special effects artist, this striking skull looks like the real thing! It includes a Plexiglas stand.